Shamima Begum's father, Ahmed Ali, told The Associated Press in his Bangladeshi village that he would still request that the British government allow his daughter to come back. The father of a British teenager who ran away to join the Islamic State group in Syria said his daughter’s citizenship should not be revoked and that she should return to the UK and be punished if it was determined she had committed a crime. 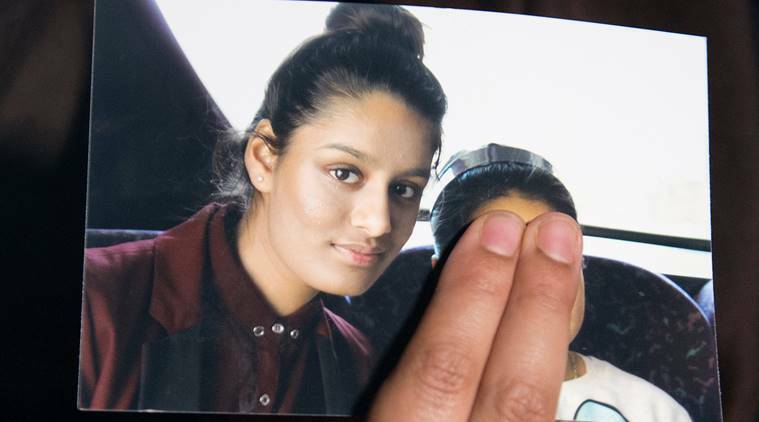 Shamima Begum fled east London with two friends to travel to Syria to marry IS fighters in 2015 at a time when the group’s online recruitment program lured many impressionable young people. Begum, now 19, resurfaced at a refugee camp in Syria and told reporters recently that she wants to come home. But her apparent lack of remorse has triggered criticism in Britain and the family has expressed its own shock at her lack of repentance. She married a Dutch man who wants to take her to the Netherlands with their newborn son. British Home Secretary Sajid Javid has revoked Begum’s citizenship — despite saying he wouldn’t make a decision that would render a person stateless. Her family has insisted she isn’t a dual citizen. The case is pending in the courts. Begum’s father, Ahmed Ali, told The Associated Press in an interview Tuesday in his Bangladeshi village that he would still request that the British government allow his daughter to come back. “My child was only 15 years old when she fled, she was immature,” said Ali, who lives in the northeastern Bangladeshi district of Sunamganj with his second wife. The area is 181 kilometers northeast of Dhaka, the capital. “I would ask the British government not to cancel her citizenship, to return her citizenship, and if she is guilty, bring her back to Britain and give her punishment there,” he said. Ali, 60, said he moved to England in 1975 and returned to his village in Bangladesh in 1990 to marry his first wife, Asma Begum. The couple, who returned to England, has four daughters, with Shamima the youngest. Ali later returned to Bangladesh and got married for a second time. Most recently, he came to Bangladesh two months ago to escape the U.K. winter. Ali criticized the British authorities for failing to properly deal with the issue of students who have fled to join the IS.